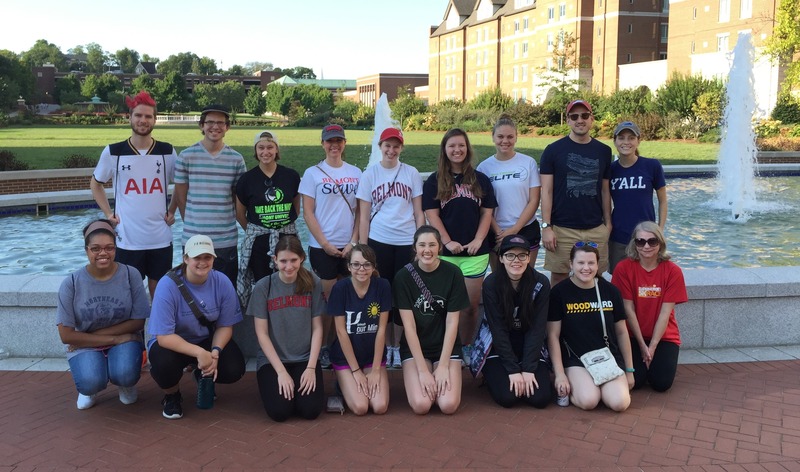 A group of 18 Belmont students and faculty members, representing the Belmont University Psychology Club, participated in the American Foundation for Suicide Prevention’s Out of the Darkness Walk on Saturday, September 10. The walk took place in the Music Row community, starting at Owen Bradley Park. The Psychology Club donated $250 towards the walk fundraising goal, allowing them to be an event sponsor. With more than 800 participants, the walk raised more than $73,000. According to the AFSP website, the Out of Darkness Community Walks has created a movement. Held in hundreds of cities across the country, these events provide people with the courage to open up regarding their own journey and creates a platform to change our culture’s approach to mental health.